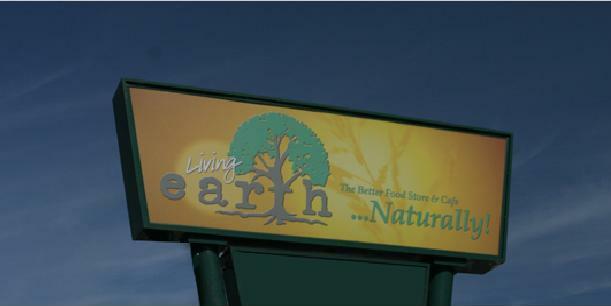 The Living Earth is a local health and well-being minded grocery store as well as cafe. Although Worcester does not have a Whole Foods it does have The Living Earth. While you may not be able to get quite the same level of smug satisfaction for all to see from shopping at the Living Earth (LE) as you would at Whole Foods (WF), you get something almost as valuable… health. Located on the corner of Park Ave and Chandler St next to a Hess gas station, the LE lacks that culturally sanitized feeling you get from a WF. Granted, I have only shopped there as a specialty store since the prices are comparable to a WF; but I do realize that the extra cost is part and parcel of breaking out of the grip of macro agro-business. The unfortunate reality is that the least healthy foods generally cost least, while the cost of living an organic, pesticide and chem. free lifestyle is prohibitively expensive for the vast majority of people. The irony of the LE being located in the heart of inner city Worcester is not without merit. At least the LE is physically accessible to the inner city, if not economically within reach. I enjoy shopping at the LE occasionally for certain items because it has grown with Worcester, not in spite of it. The patronage of a local business is as beneficial as the healthy food. In fact, the LE is an example of an organic relationship among business, customers, and community; an important concept that has been lost among the success of larger chains such as WF. This entry was posted in Food, Random, Reviews, Uncategorized and tagged Cafe, Earth, Foods, Grocery, Living, Organic, Review, Whole. Bookmark the permalink.